MTG Stone Chip Resistance Gravelometer is designed for testing automotive material and coating for resistance to gravel impact. It complies with SAE, ASTM, VDA, GM, Chrysler, Mazda, JIS, Nissan, VW. 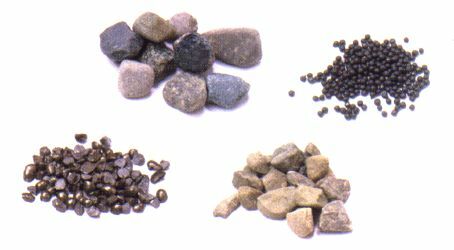 The MTG Stone Chip Resistance Gravelometer is designed for testing automotive materials and coatings for resistance to gravel impact. It complies with SAE, ASTM, VDA, GM, Chrysler, Mazda, JIS, Nissan, VW. The MTG Stone Chip Resistance Gravelometer's modular base assembly and easy-to-switch components allow you to perform all major automotive chip tests with one tester. The modules include the gun assembly, target chamber and specimen holder. The new Gravelometer is designed to run hundreds of tests per day. It allows quick specimen loading / unloading and features an external gravel box for greater ease of use. 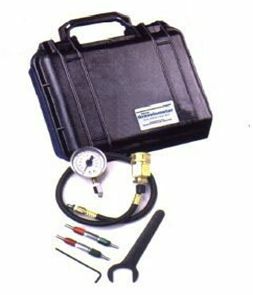 The Gravelometer also incorporrates enhanced control of test parameters and allows calibration for ISO 9000 compliance. 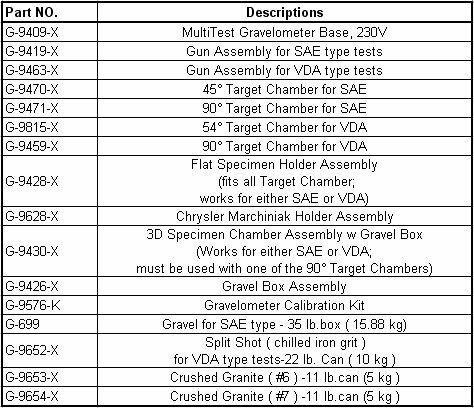 MTG Stone Chip Resistance Gravelometer runs American, German, Japanese & other tests. The gun assembly and target chamber can be changed to accommodate different test methods and different angles of impact. 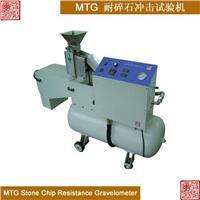 The MTG Stone Chip Resistance Gravelometer can be changed from one configuration to another in less than 3 minutes. The gravelometer's rugged construction makes it easy to shoot hundreds of panels per day. The flat specimen holder is locates on the outside of the chamber for quick loading and unloading and high volume throughput. The Gravelometer also has an external feed hopper and an external gravel retrieval box for easy operation. A digital test counter keeps track of the number of tests that have been run. The Nozzle Pressure gauge indicates the air pressure in the gun assembly. A built-in bubble level and adjustable feet allow easy leveling. Flat test specimens are mounted at either 90 or 45 degrees for different angles of impact. The flat specimen holder is designed to accommadate a range of thicknesses. A three-dimensional (3D) specimen chamber is also available to accommodate large objects like hubcaps, springs, and bumper sections. 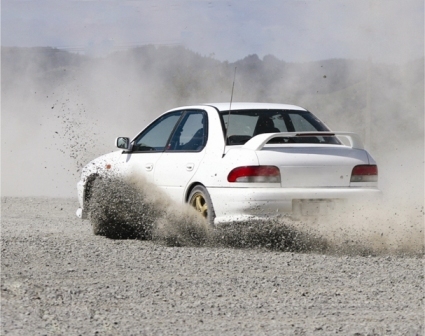 The new MTG Gravelometer provides enhanced control of test wariables. -Gravel feed rate is adjusted via an electrically controlled vibratory feeder. -Air pressure and air velocity are kept constant because the built-in receiver tank stores and deliver air to the nozzle at a constant pressure and velocity to increase at a constant. The nozzle air pressure is adjusted to change the speed of the media hitting the test specimen. -Air flow variations are reduced by the use of machined Gun components which fit together precisely to eliminate variations in airflow. The MTG Gravelometer is enquipped with safety cut-off switches that automatically shut down the machine if either the target plate or specimen holder is opened or the target box is removed. The safety relief valve on the air receiver tank automatically keeps the pressure in the tank below a certain level. All components of the MTG Gravelometer are positioned to allow easy access for inspection, maintenance and calibration. An easy-to-clean air filter controls the dust that is generated from the breaking of gravel or other media. The modular design of the MTG Gravelometer allows you to save lab space. You no longer need to keep a different type of tester for each and every test that you are required to run.